TGI Thursdays are back at Barona Resort & Casino. Every Thursday during the month of January, starting on January 10, Barona players will enjoy multiple chances to win a share of $34,000 each week. A $1,000 cash prize will be given to one player every 20 minutes from 2 p.m. to 10:00 p.m. on Thursday, January 10, 17, 24 and 31. To add to the excitement, all Club Barona members actively playing at the winning slot bank or table game will each win a $20 bill. And, at 10 p.m. each Thursday night, one lucky player will win the Grand Prize of $10,000. "This promotion is unique because we're not just selecting one winner every 20 minutes but we are also giving every single player at the winning slot bank or winning table game a $20 bill," said Rick Salinas, general manager of Barona Resort & Casino. "So, don't forget to bring your friends to Barona for TGI Thursdays because there will be even more excitement this month at the Happiest Casino on Earth!" $1,000 cash Power Giveaways are scheduled every 20 minutes from 2 to 10 p.m. every Thursday in January. At 10 p.m., one player will win the Grand Prize of $10,000 cash. 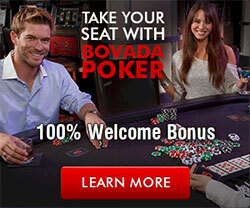 Power Giveaways are open to all Club Barona members actively playing while using their Club Barona cards. Club Barona members must earn 500 myPOINTS to qualify for the drawings. For complete details about Barona's TGI Thursdays, please visit www.barona.com or visit Barona Resort & Casino on Facebook.